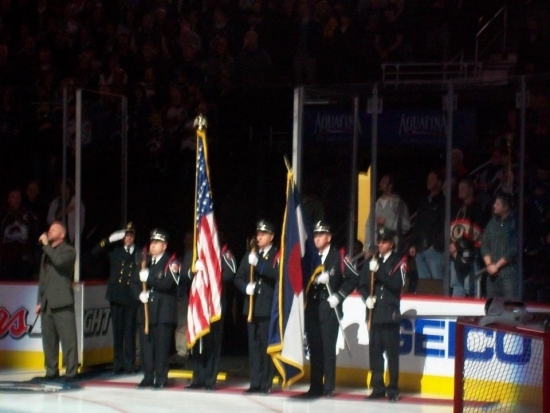 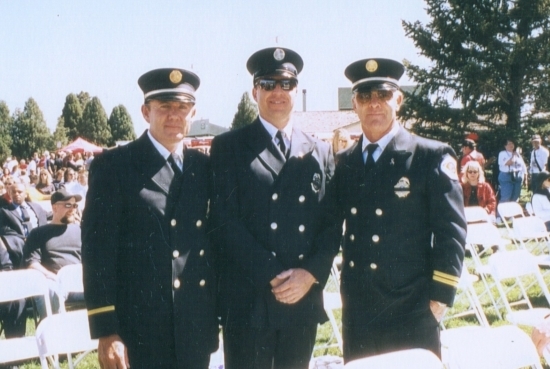 Left to Right: Fire Inspector Gary Micheli, Firefighter Gary Tulley, and Fire Captain Larry Bond, as part of the Honor Guard in 2004. 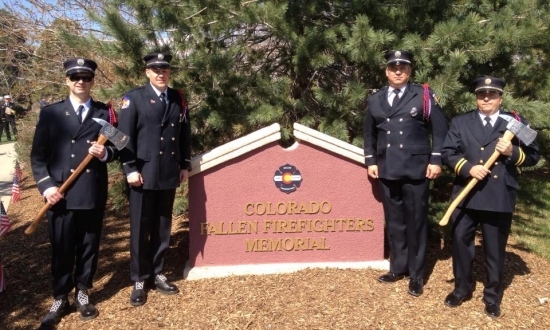 (left) Pueblo Firefighter Joey Gutierrez representing Billy Pine. 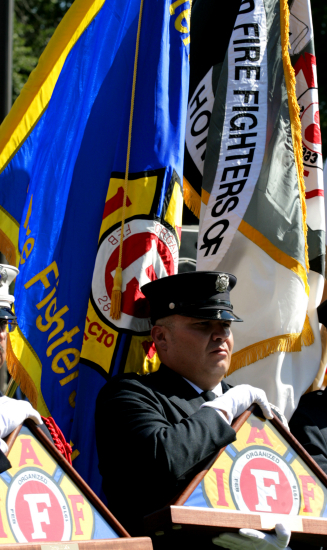 (right) Joey presents Billy's widow, Janis Pine with the IAFF flag. 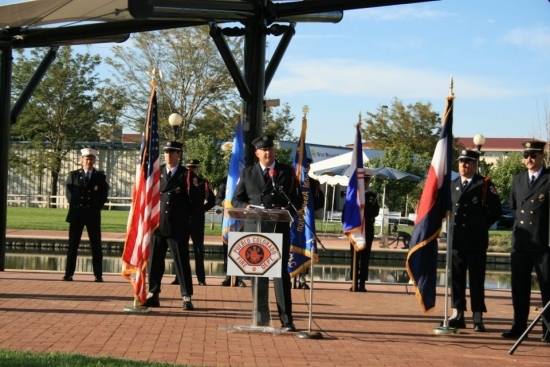 (left) Pueblo Firefighter Ken Kilcullen stands beside the IAFF wreath. 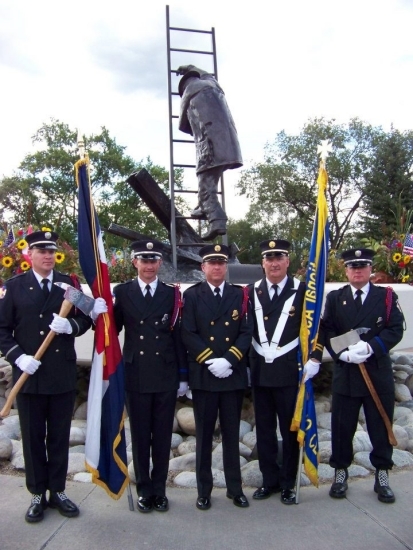 (right) The statue at Memorial Park in Colo. Springs, where the wall of remembrance is located. 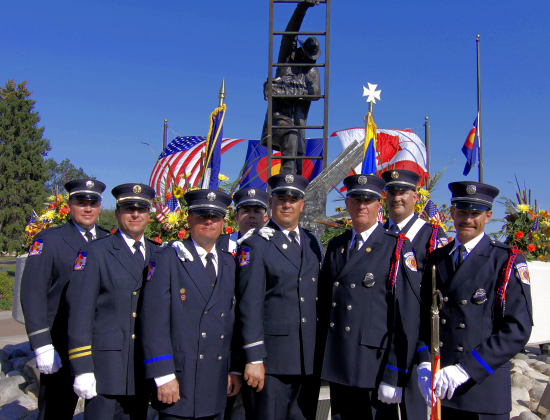 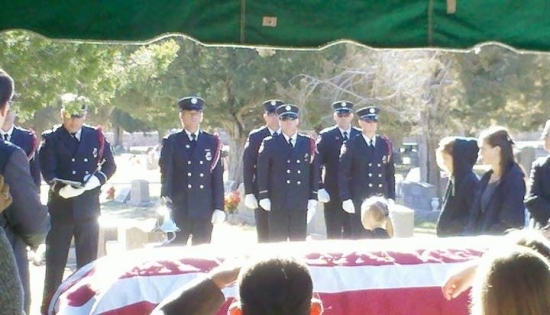 Members of the Pueblo Firefighters Honor Guard who attended the FF Memorial in 2009. 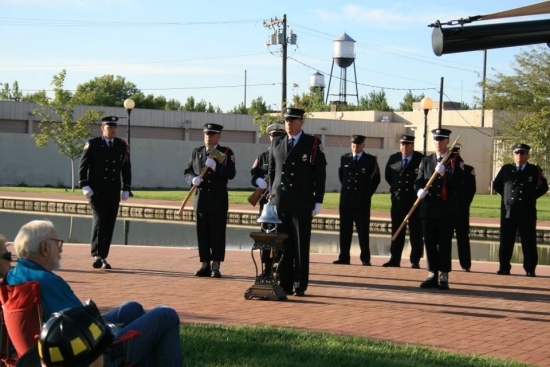 (left to right) Ken Kilcullen, Gary Toft, Chris Obert, Travis Filer, Grant Grinstead, Bernie Jesik, Rick Potter, and Zane Owens. 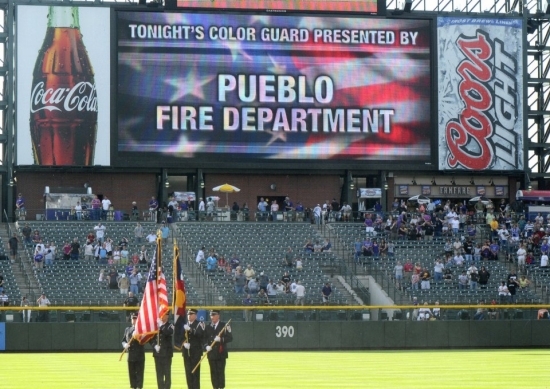 Pueblo Honor Guard members ( l to r ) Jeff Aube, Rick Potter, Gary Tulley, Bernie Jesik. 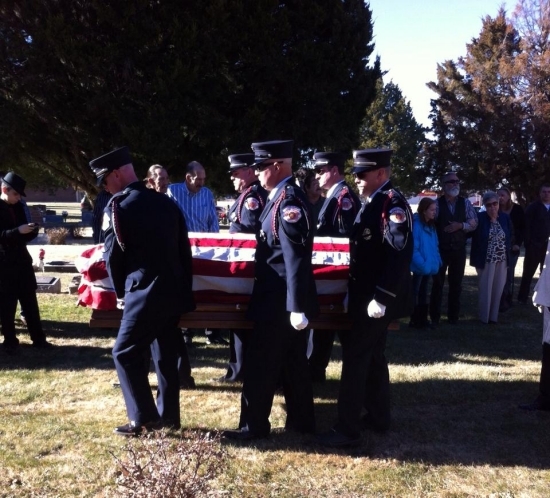 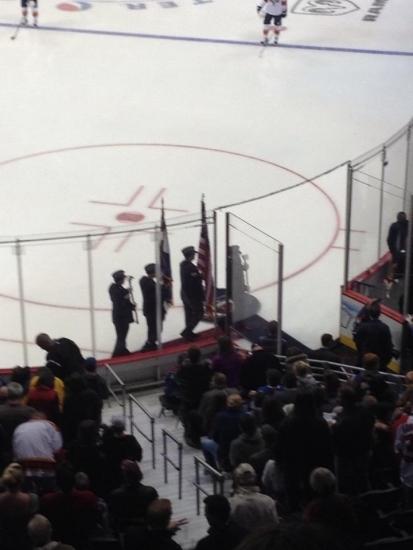 Honor Guard members Ken Kilcullen, Zane Owens, Gary Tulley, Rick Potter & Chris Obert. 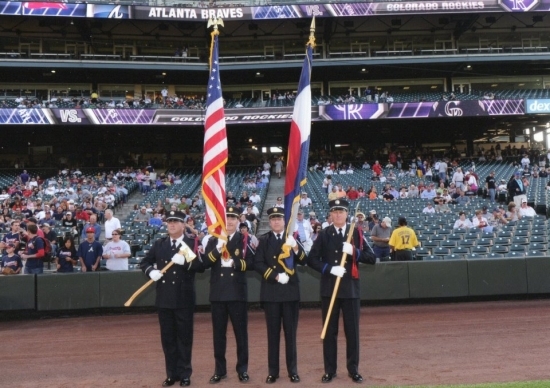 Honor Guard members Damian Pritts, Ken Kilcullen, Grant Grinstead & John Ireland. 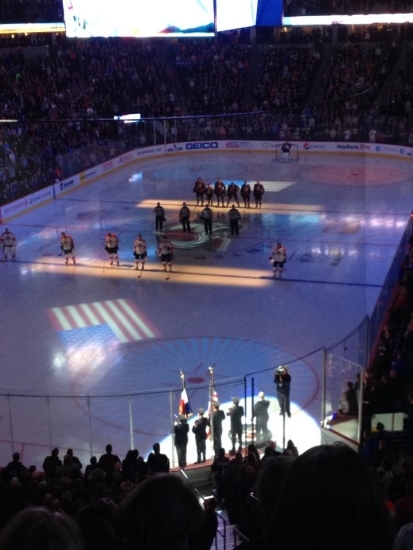 Boyd Rafferty in February 2014.